Holiday season is here! Time to dress up and dress warm. 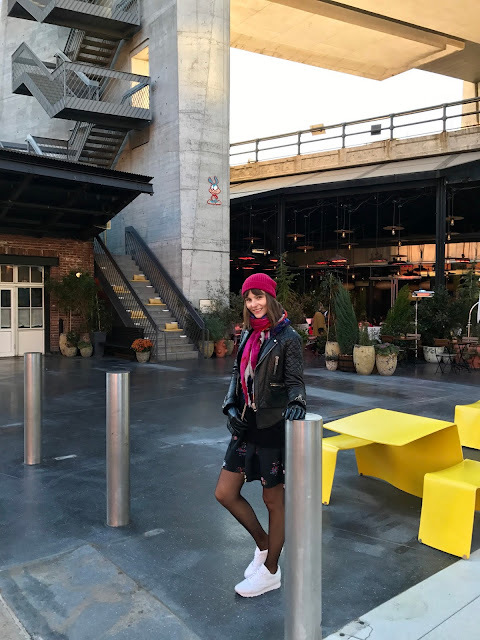 My tip is leather and cashmere, cashmere feels good and never scratches my skin (yeah believe or not most materials are not comfy for me) and leather is good for the cold wind in the City. Oh and in case you haven't noticed I'm trying to embrace the colors. Svatky jsou tady! Cas na to oprasit fancy saty a zaroven neco tepleho. Ja volim kuzi a kasmir, kasmir me zahreje a neskrabe (ano, vetsina materialu je mi proste na tele neprijemna) a kozena bunda me ochrani pred ledovym vichrem, ktery mame v New Yorku ted kazdy den. Jo a pokud jste si nevsimli, snazim se vnest trochu barev do sveho zivota.